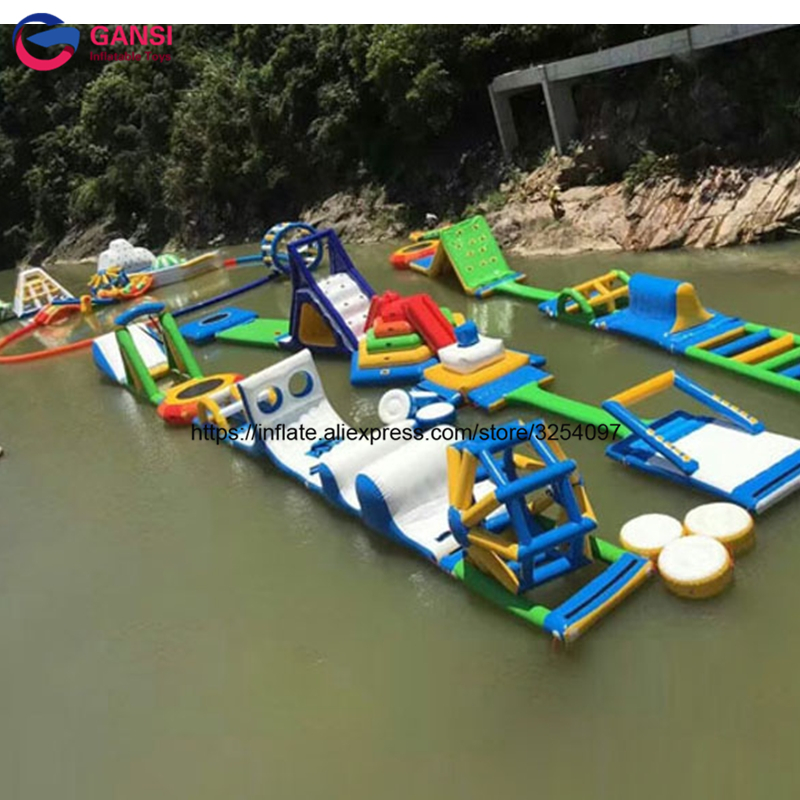 Pls contact us firstly,because the water park is customized as your play area,we have different size/design to meet your require,and the price show is not right. Pls send the message to us firstly! 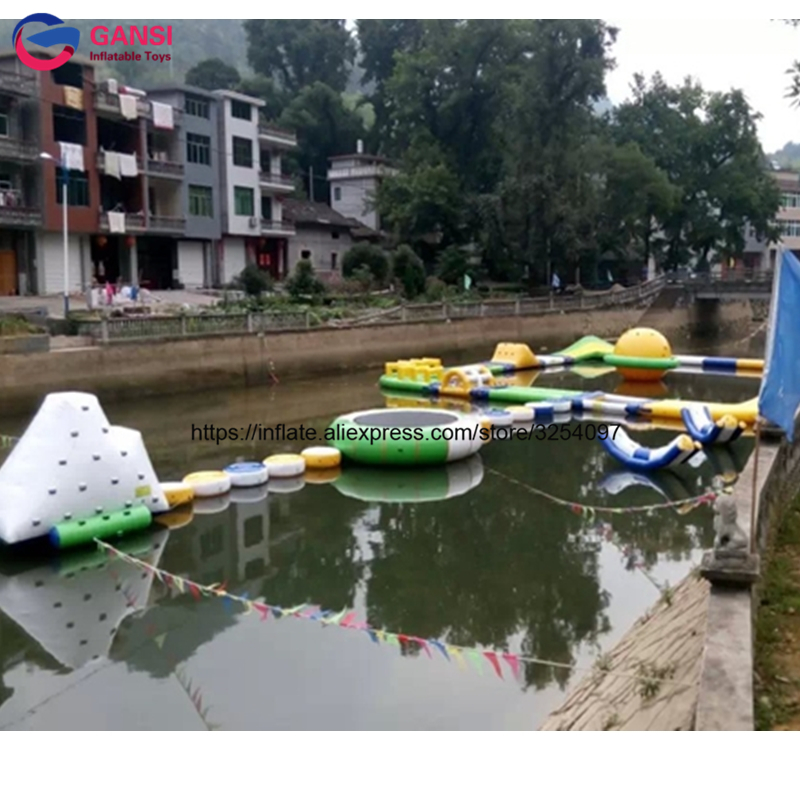 The inflatable commercial water park is made of 0.9mm Plato PVC which is very durable, waterproof, eco-friendly, has no chemical toxic gas in high temperature to hurt kids. 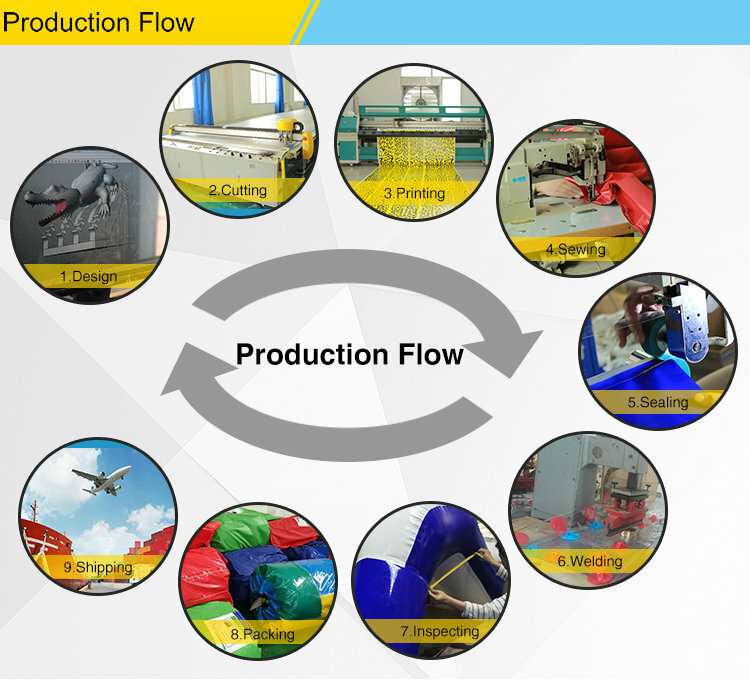 All of the material we selected the top grade material to ensure long use life. 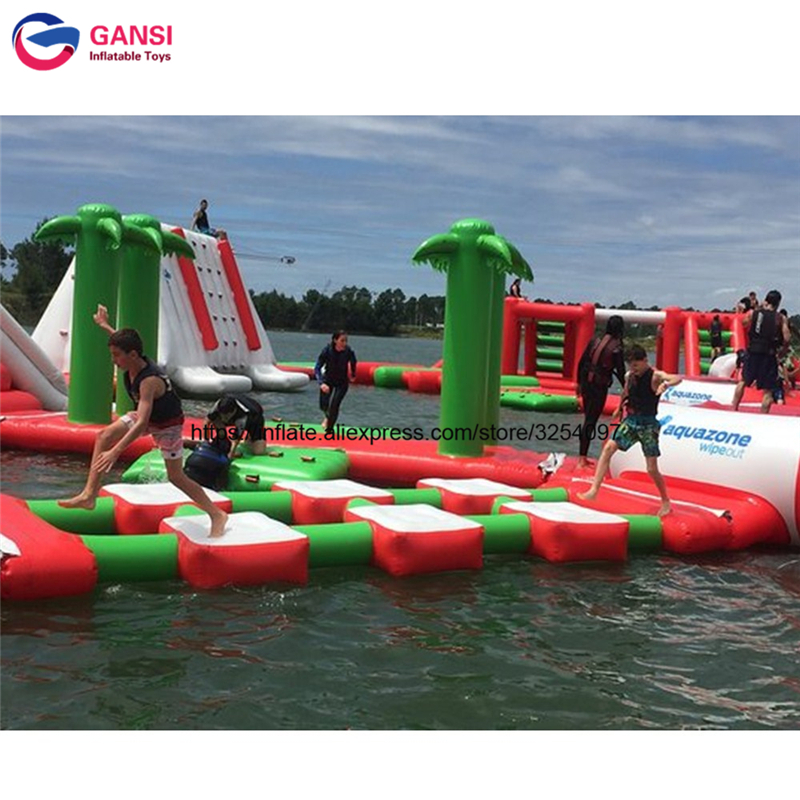 The inflatable commercial water park used in amusement park, public garden, leisure center, outdoor campaign, and so on. 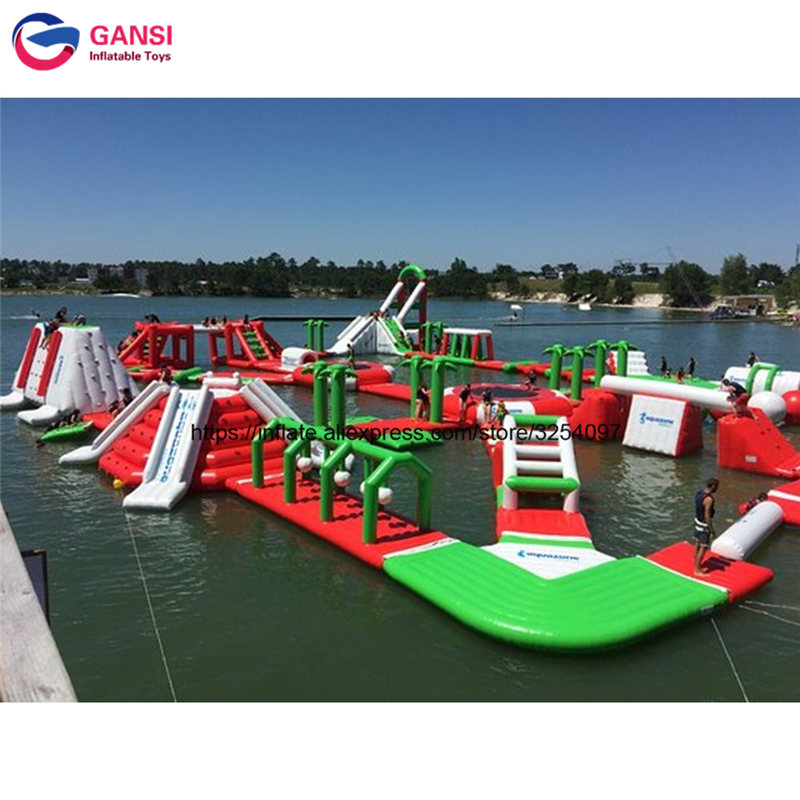 Very exiting and fun! Best for summer and resort! 1. 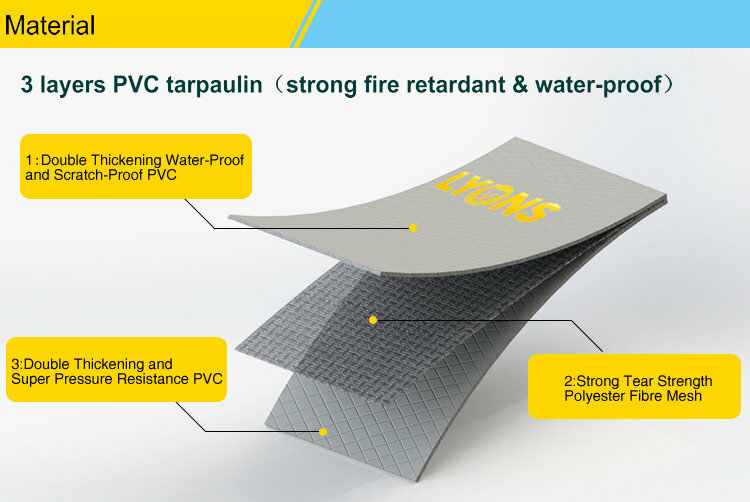 We add reinforcement strips for all our products, so the items have good airtightness and more durable. level automatically when it\'s getting hot in the noon. very stable and will not peel off. 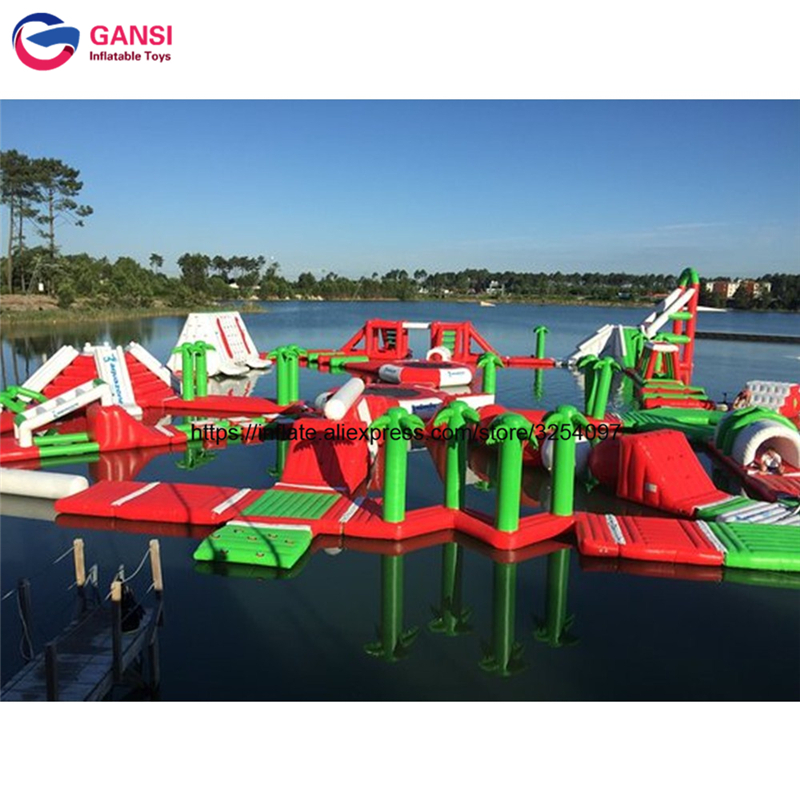 system which make the whole park very stable. WE WILL BE YOUR BEST CHINA PARTNER! 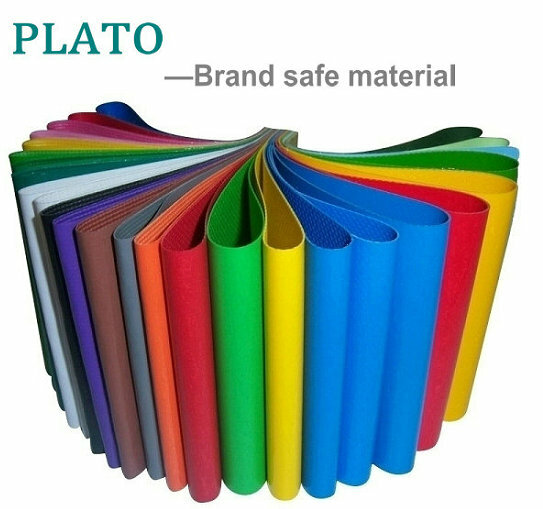 Rich experience on OEM services for brand as famous brand.Similar quality as famous brand but only 1/4 price.We reduct our profit to customer for maker your get the competitive priceand take back your cost qucikly. 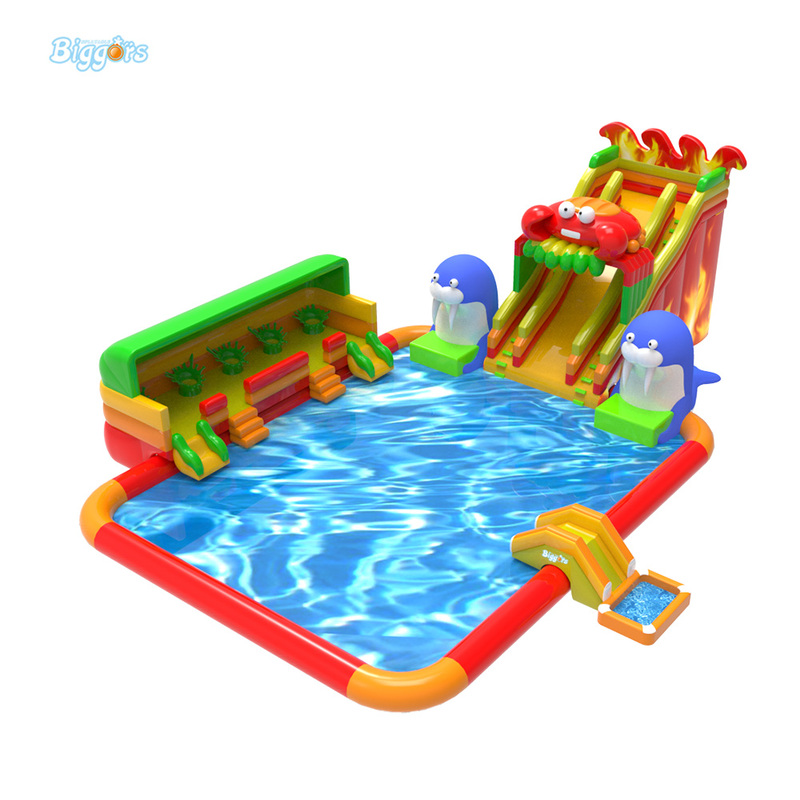 Customize your water park as your like,we can provide design team free make design drawing for your.Different size and theme water park case let your check,and 100 kinds of water toys let your choose. 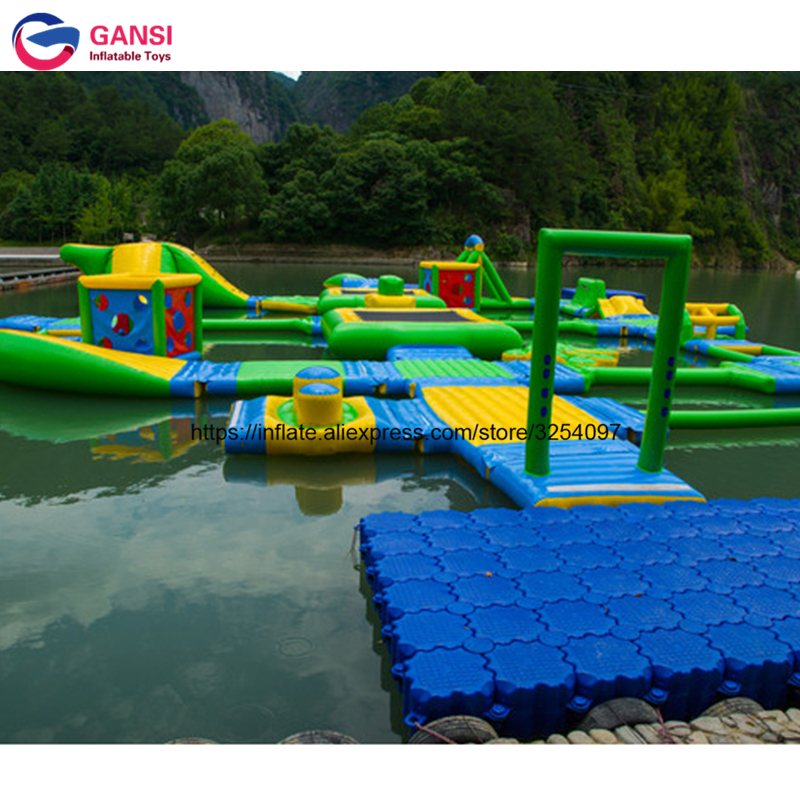 We focus on aie sealed inflatable.eapecially inflatable water park games.We promized all our factory inflatable product passed the TUV /SASO text.Can greatly reduce the repair rate and make your business keep running smoothy. 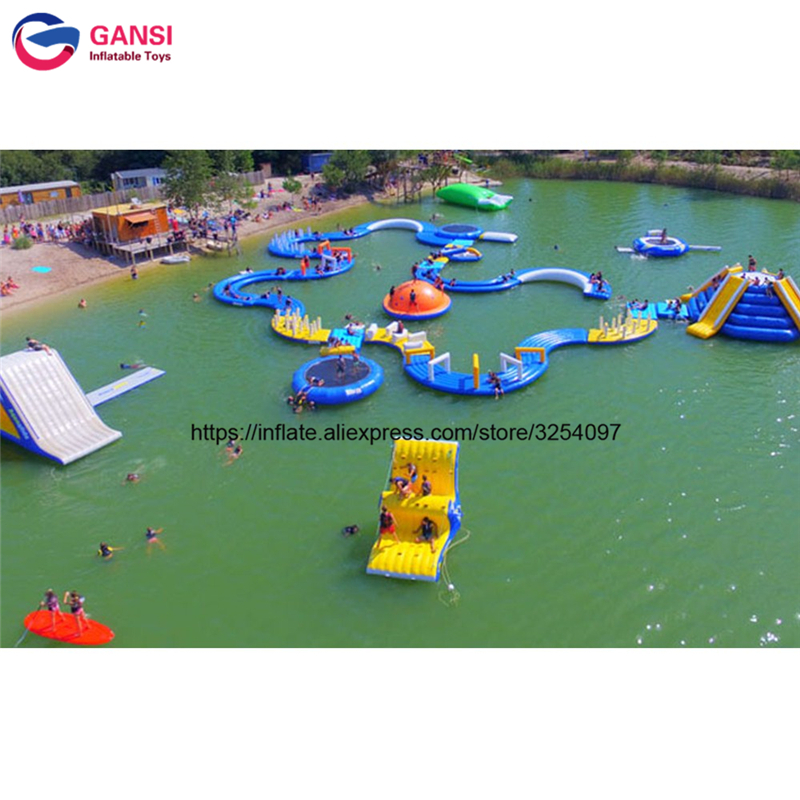 We would be honest to be a reliable partner and friend with you for a long time relationship.We can offer necessary accessories for installing the water park .Such as vest,sand bags,rope,bungee cord,repair bag.So your no need worrived about how to repair and where to buy the accessories.